The day started in the fog of the Cameron Highlands. The special section was cancelled because of dangerous conditions. On our way to Kota Bharu we drove through Lata Rek which has been devastated by the severe recent floodings. Everybody is busy rebuilding houses and roads. 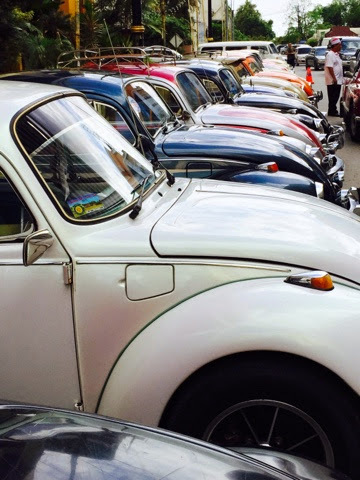 We are still driving without our fourth gear. Xavier is on his way with a replacement gear box from Belgium. We will start installing it tomorrow night and need to finish on Friday which is our rest day. 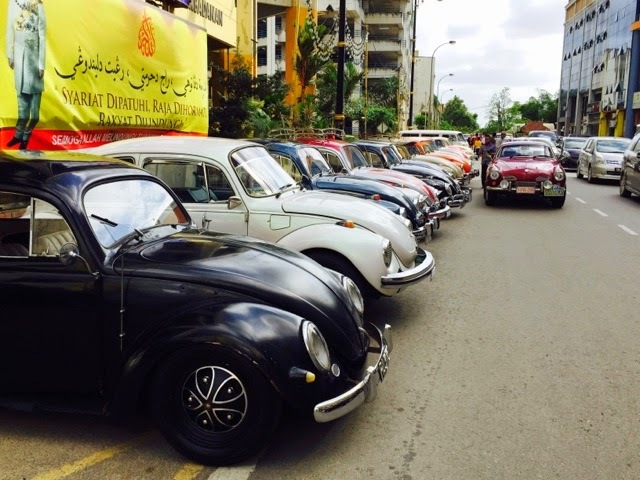 At our arrival in Kota Bharu we received the most wonderful welcome of "The Kelab Volkswagen Klassik Club". 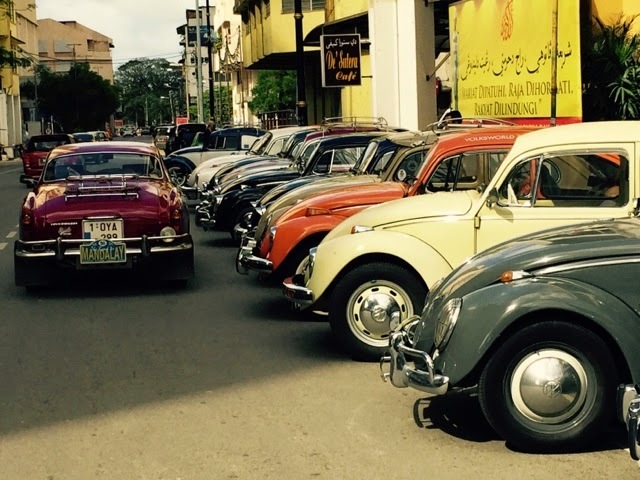 Watch the rare 1950s VW Oval in front of the row.